Upon arrival at the installation, there are no indicators of any kind of order, no guide to follow in the intimate yet multi-levelled project space. At the centre of the ground floor room, a hefty and more-than-imposing hangman’s noose stands. On the left, a poem by the artist on the wall; on the right, a large crucifix. As you enter the basement, you are immediately plunged into red, with the walls covered in bright felt. A floor lamp glows amid countless poems by Reihilll, spread across the space. A voice, loud and enveloping, guides you to a projected screen, a film of the artist being interviewed. 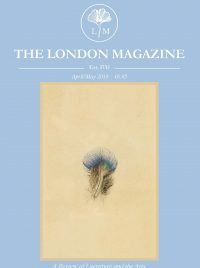 She explains that the Bermondsey Project Space was undoubtedly the perfect home for her installation; with its various levels, she could play with the different levels of consciousness. On the first floor, we are met with more poems by Reihill. 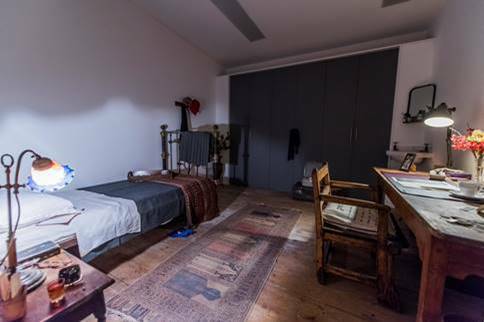 We enter a bedroom that is supposedly a recreation of Ellis’ cell: a bed, a nightstand adorned with a bible, a crucifix above the head. 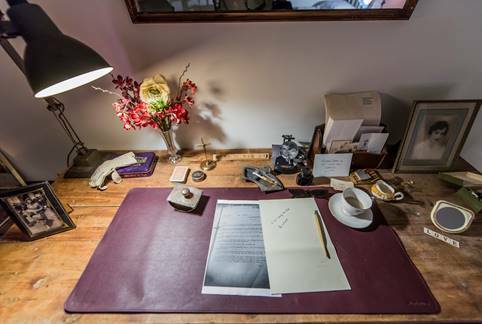 Spread out across the room is a few homely accessories, and there is a carefully laid out mess on the desk. Papers, letters, photos, and teacup… A card with a joke about vodka. While the three L-shaped floors (not meant to be visited in any particular order) can be perceived as an immersive representation of a complex and messy psyche. This however builds the sense of sparseness of the end of a life, when almost all objects feel disparate, and the panic of being confined sets in. Here we have a large noose in the centre of a well-lit room, an airless basement eerily lit red, and Reihill’s poems plastered across the wall. The installation explores the emotions of desire, grief and loss that surround such a public death, putting the visitor firmly in the shoes of the victim of capital punishment. While there is a video piece on the lower level of the gallery featuring the artist interviewed by Literary Editor of the Irish Sunday Independent Madeleine Keane, I was left wanting more of the story of Ruth Ellis’ passion, jealousy and humiliation, of how the tabloid coverage of her case contributed to the abolition of the death penalty, of how she reportedly felt happier in prison than out of it, and how despite attempts to save her, she accepted the death penalty as her fate. 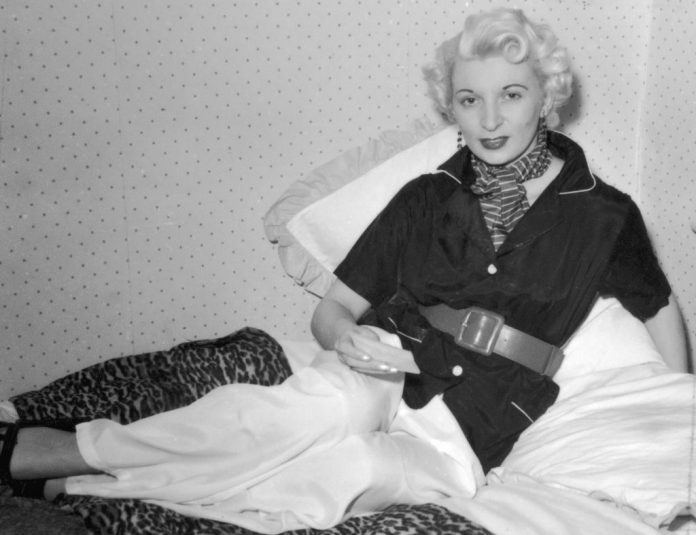 Clearly Ruth Ellis was a fascinating person whose fate, so similar to other stories of passion gone out of control, we are invited to consider as our own. While the exhibition shines a light on a fascinating and criminally over-looked personal story, I was left wanting to know more about this significant chapter of London history. Hopefully Glad I Did It—a moving and thought-provoking tribute to Ellis—will spark further explorations into what is a truly compelling case. Glad I Did It by Christina Reihill is available to visit at Bermondsey Project Space until December 1st. More information here.